REFLECTION: We are very interested in the idea of what we call edge space as being the place where change for good can happen. Edge space is threshold or liminal space, and offers a way into something new. It’s the site of potential transition, transformation, and deep change. 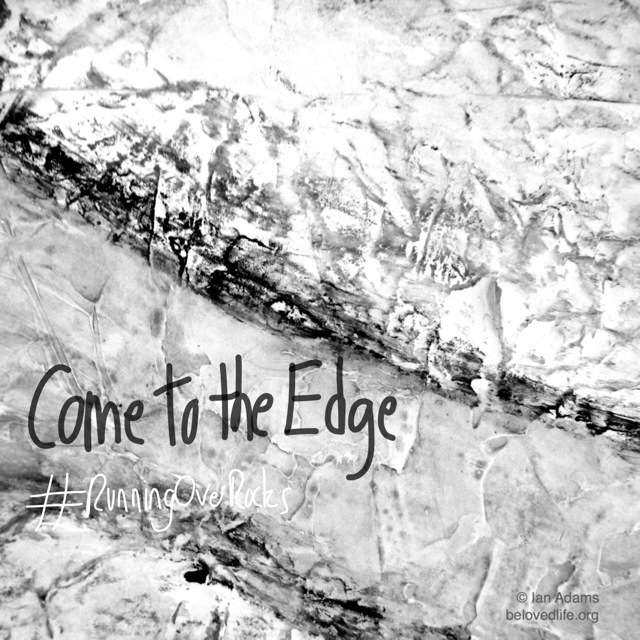 Edge space can be encountered in a physical place, like the cliff in the poem Walk with me from Running Over Rocks but it’s much a wider idea than geography. Every task that feels beyond you is edge space. Every decision about your life direction is an edge space. Every new day is an edge space!